Last year we had Animojis for iPhone X – those cute little animate emojis that responded to your facial expressions. 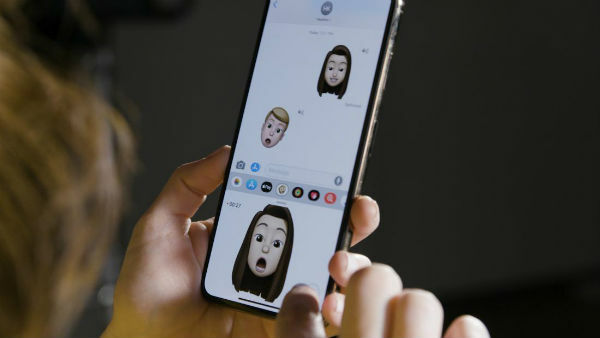 And now Apple has gone one better, with Memojis for your iPhone Xs. They’re animated emojis, and they look just like you. They really do. Creating your Memoji couldn’t be easier. Head to the Message app > App drawer > Animoji icon (it’s a monkey) then swipe right and tap ‘New Memoji’. Look at your camera, and your Memoji appears as if by magic. You can get creative and change a few things here. Ever wanted to be a blonde instead of a brunette? Now’s your chance! When you’re happy with your results, press ‘done’ to save. If you want to send your Memoji out into the world, go ahead and share it with friends. 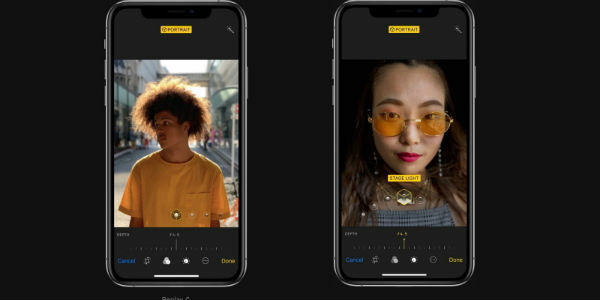 Depth Control is a new feature for your iPhone Xs’s camera. Have you ever looked at professional photographs and wondered how they got those amazing blurred backgrounds, while everything else stay in focus? Well, now you can get it on the action. Find that special photo that you want to give the Depth Control treatment to, tap edit, and you’ll then see the Depth Control slider on your screen. Slide away to your heart’s content, until you get the effect you’re looking for. If you’re anything like us, you’ll go full-on blur. Portrait Mode is fantastic on the iPhone Xs. Not only can you use Depth Control to blur out the background, but you can also add some extremely cool lighting effects. So snap a selfie or take a shot of someone else, and let’s get started. Swiping to Portrait mode brings up all the different lighting options, and you’ll have great fun playing with them all. If you’ve ever dreamed of seeing yourself up on stage, then Stage Light is the one you need. It makes you look like you’ve been photographed under a spotlight, and wow… it’s dramatic. Face iD is by far the easiest way to unlock your iPhone Xs, and it feels like it’s from the future. If you haven’t experienced it yet, do it now. Go to Settings > Face ID & Passcode. Enter a passcode, tap Setup Face ID and the fun begins. Your face is going to be scanned, twice, so make sure you’re somewhere with good light. When you’re done, you’ll be able to able to open your iPhone’s lock screen by swiping up… with your eyes. How cool and sci-fi sounding is that? If you’ve upgraded from an old iPhone, you might have been used to tapping your Home button for a screenshot. Well, those days (and the Home button) are long gone. So tap your ‘power’ and ‘volume up’ button together instead. Screenshot taken, job done. There are some new gestures you’ll need to get the hang of if you want to get the most out of your iPhone Xs, especially if you’ve been used to an older iPhone with a Home Button. But trust us, once you learn the most important gestures they’ll make using your iPhone Xs an absolute doddle. Want quick access to your camera from the lock screen? Swipe left. Want to see all your widgets? Swipe right. Want to unlock your phone? Swipe up from the Home Bar (that’s the thin line at the bottom edge of the screen). Want to switch between open apps? Swipe up from the bottom of the phone. Looking for your notifications window? Swipe down from the centre. Want to get into your Control panel? Swipe down from the right. ‘Tap or raise to wake’ is another neat new gesture that’s pretty self-explanatory. When you want to wake your iPhone you can lift it up, or tap the display. Easy. Have you uncovered any hidden tips for your iPhone Xs that aren’t on this list? We’d love to hear them, so feel free to comment below. If you'd like to get an iPhone Xs, you can order it from Carphone Warehouse here. If you're upgrading, we'll give you up to £250 when you trade-in your old phone. It all helps. iPhone Xs vs iPhone X: what`s the difference? iPhone Xs vs Xs Max: what`s the difference?